I found this display in a gift shop. Maybe Mitchell can come up with the collective noun for skulls. Teapots, easy!! Annie's dining room. Moroccan Tajine not sure. It would have to be Something culinary though. Leather bags. Miss Mary's wardrobe? Natural fibre from the aloe Vera plant. It's a very strong thread apparently. ?? Collection of corners is called a motorcyclists heaven. 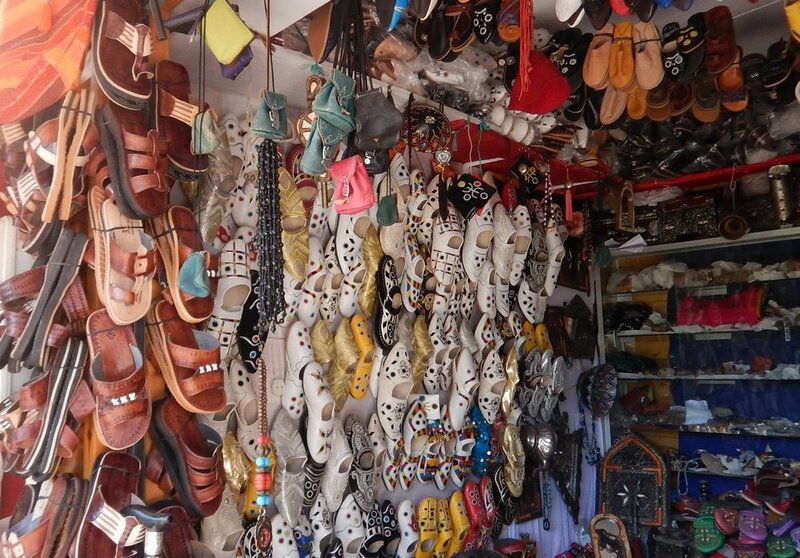 More bags, these are old camel saddle bags. Mounds of olives might be called Pile me up and I'll 've a good time. Back to Annie's new shelves in the dining room. 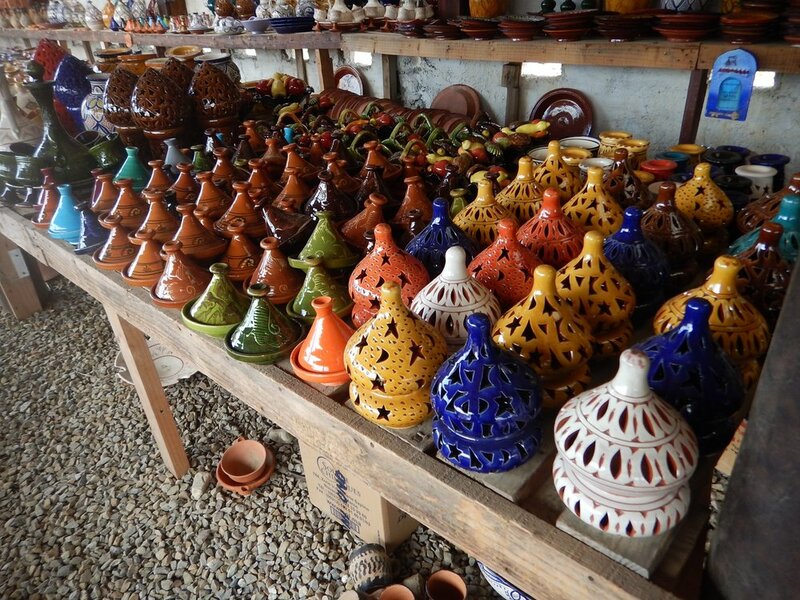 Terracotta tajines could be called a fragile collection. Handmade aromatic soaps smell divine. Some take arty photo collections of doors, door knobs and door knockers. This door knob is to the door of our accom in Tarifa. I loved it.